Motel 6 To Pay Millions After Giving Guest Lists To Immigration Authorities Washington state's attorney general said Motel 6 shared information about approximately 80,000 guests in the state and that guests faced questioning from ICE, detainment and deportation as a result. 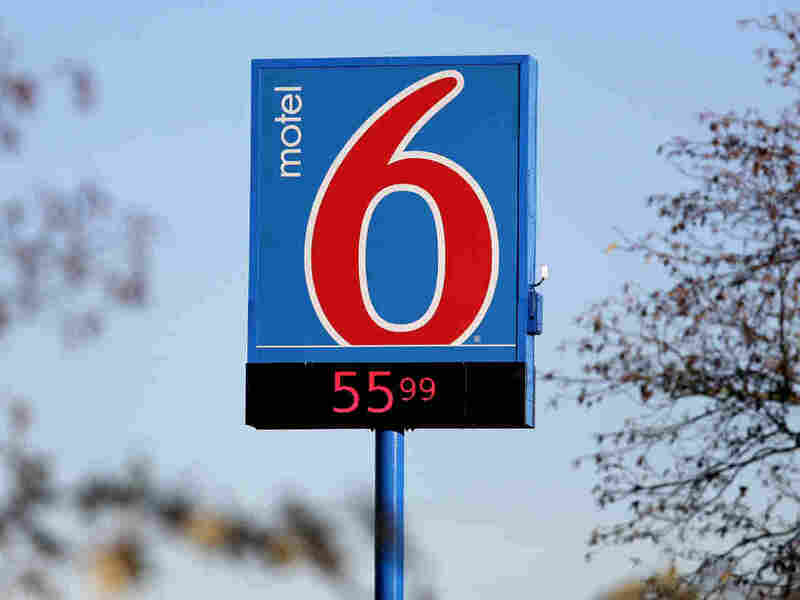 "According to our interviews with employees at Motel 6," he told NPR's Scott Simon, "ICE agents would circle the names that looked Latino-sounding and ran those names through a database and then would detain individuals based on those random checks." The statement from Ferguson about Thursday's settlement detailed several cases of guests whose names were provided to ICE, including one Seattle man who stayed at a Motel 6 near Sea-Tac for one night, wrapping Christmas presents for his children.